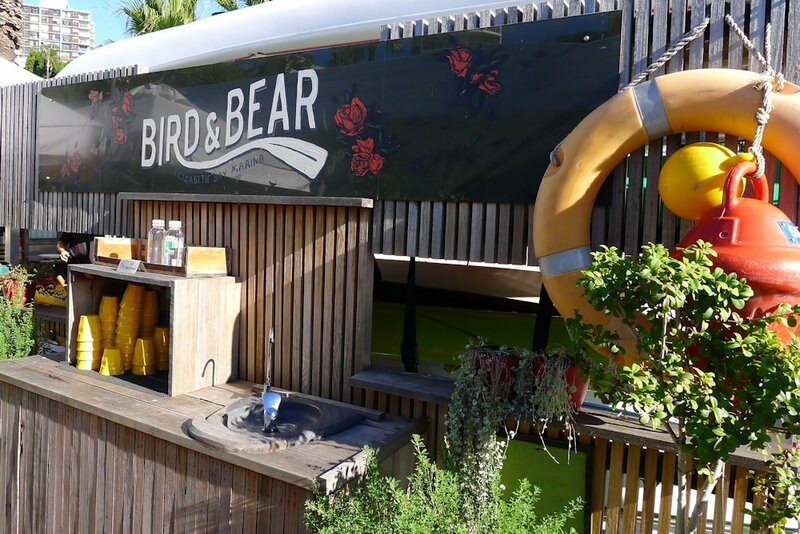 Bathed in sunlight down by the marina, surrounded by friendly faces and sipping on coffee; there’s plenty to enjoy at Bird and Bear Boathouse in Elizabeth Bay. The boathouse itself has been turned into the kitchen. The counter at the entrance to the wharf supplies menus for a quick onceover before you order and take a number. Service was fast and friendly. 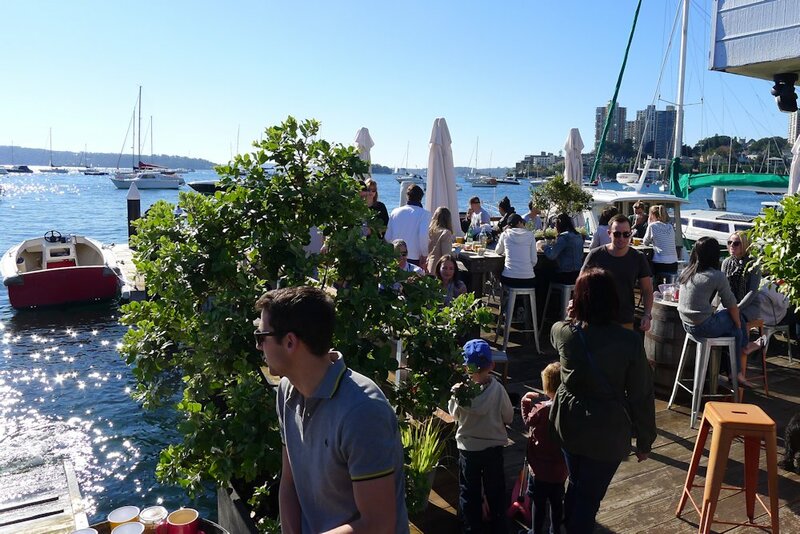 Then collect your cups and filtered water as you make your way to the sunbathed marina. There are just enough tables and benches to cater for the crowd which comes and goes quick quickly. The patronage here is quite young with children and dogs welcome! 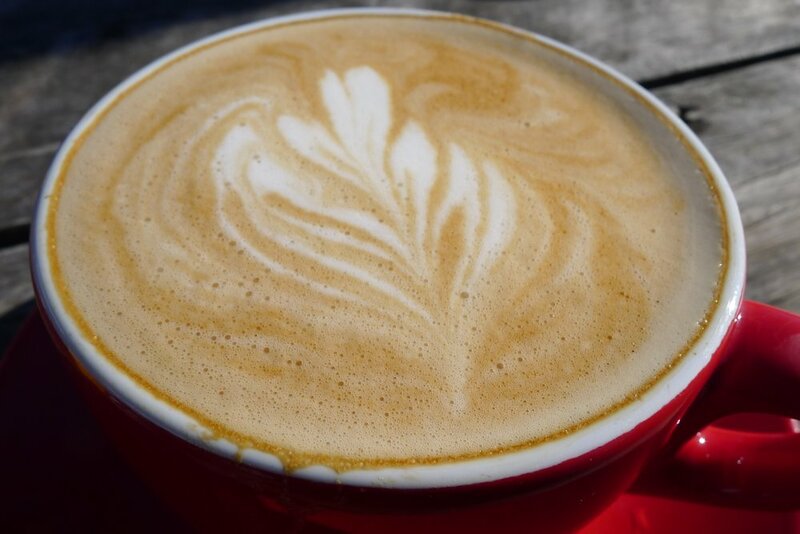 The coffee ($3.50) was reasonable although we weren’t blown away by the flavour like we have been with some establishments recently. At least the price is fair especially considering we’re in the east! 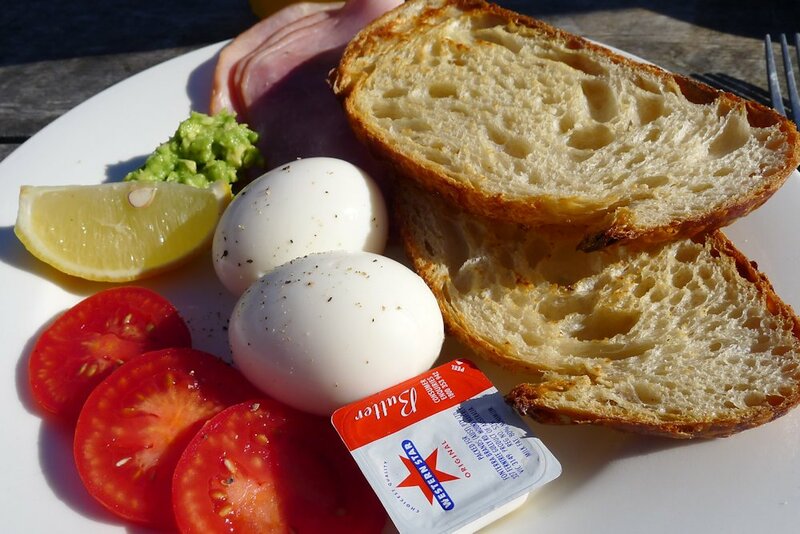 The Bears bashed eggs ($14 or $17 with ham or salmon) is a simple and fresh dish. April would’ve been satisfied with only half of the portion so bring an appetite. The eggs were oozy and perfectly soft boiled. We would’ve preferred some ham off the bone because ours was rather flavourless. Here’s something you don’t see often enough on breakfast menus: quesadilla! 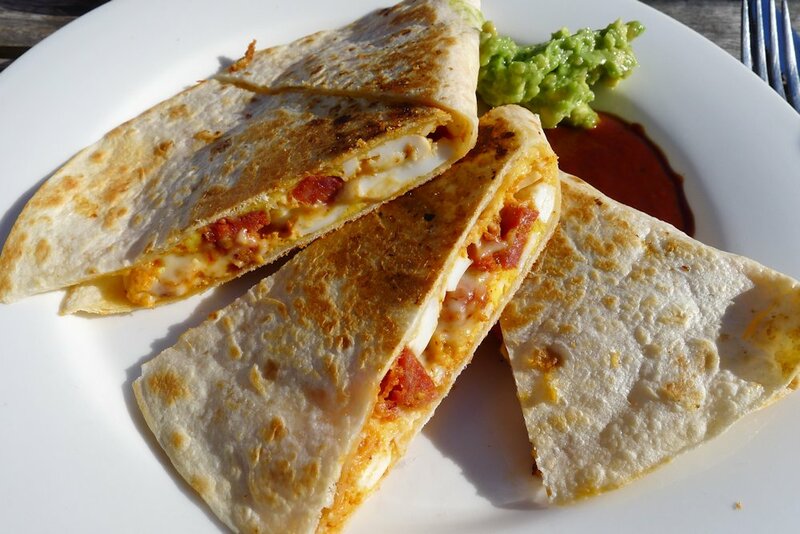 The breakfast quesadilla ($13) is filled with egg, chorizo and of course cheese. On the side you’ll find a truly hot sauce and a touch of guacamole to spread over the top. While Dane has no problem with spicy dishes or condiments, he found the sauce was too overwhelming for the fillings so he had most of meal without it. The quesadilla itself was soft and overall the meal was enjoyable but we would have loved something a bit more over the top. We wanted something truly evil with plenty of stringy cheese as we pulled the quesadilla apart. The toasted muesli with yoghurt and stewed ruhubarb ($11) or chilli toast with avocado, tomato chilli and truffle oil ($11) would be dishes we’d like to try next time and there is also a lunch menu but we don’t like to talk about other meal times here on SoS! 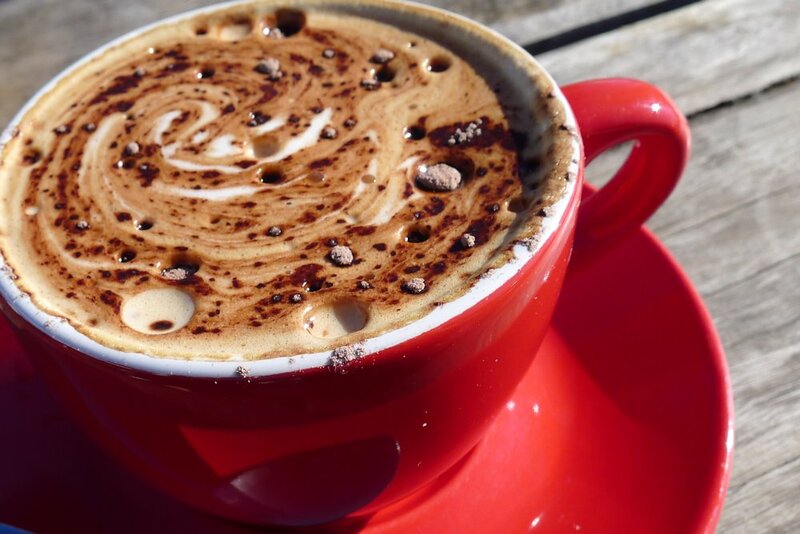 We’ve seen our fair share of average cafés in this area but if you’re in the eastern suburbs and want a laid back breakfast with a great outlook and a decent meal at a reasonable price, you will enjoy Bird and Bear. Payment Options: CC, EFTPOS, cash. 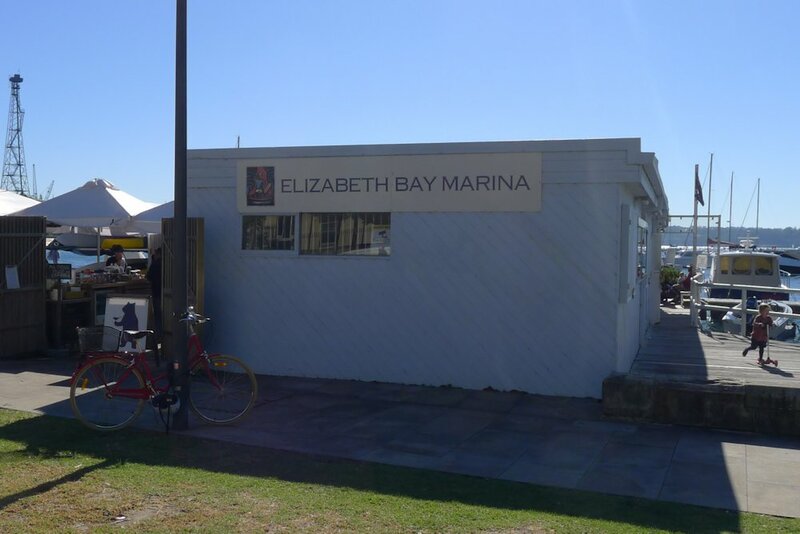 This entry was posted in Sydney - Eastern Suburbs and tagged Disabled access, Dog friendly, Outdoor seating, Water views. Bookmark the permalink.